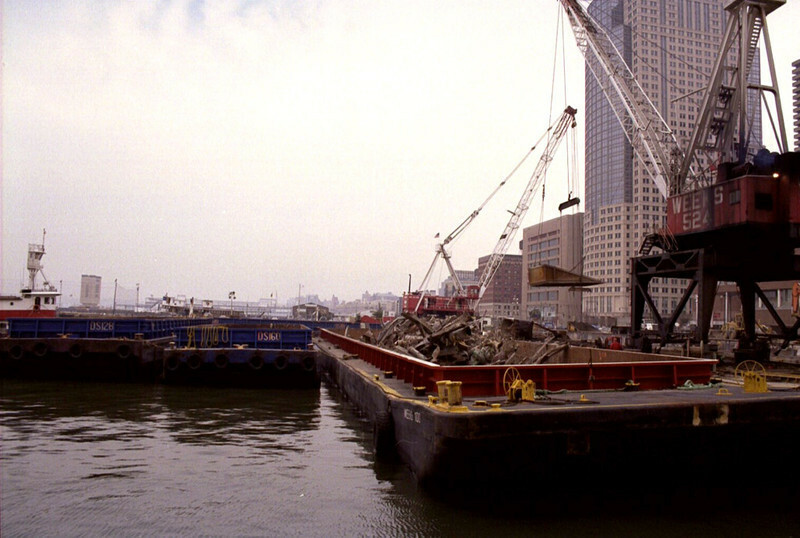 New York, NY, March 15, 2002 -- FEMA's debris removal operation includes the Pier 25 Loading Site, a few blocks from Ground Zero. Two 500-ton floating cranes place the wreckage into barges, which are towed to a Staten Island landfill. To date, more than 1.4 million tons of debris have been removed from the World Trade Center site.